You know what’s interesting? For some reason or other, a lot of women believe that men like “the chase” and so they will deliberately create a chase. 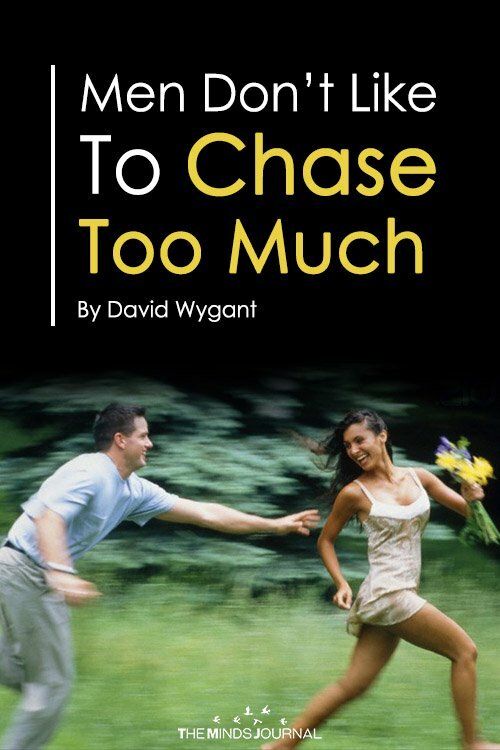 What I mean by “creating a chase” is that they will play emotionally unavailable or play hard to get. 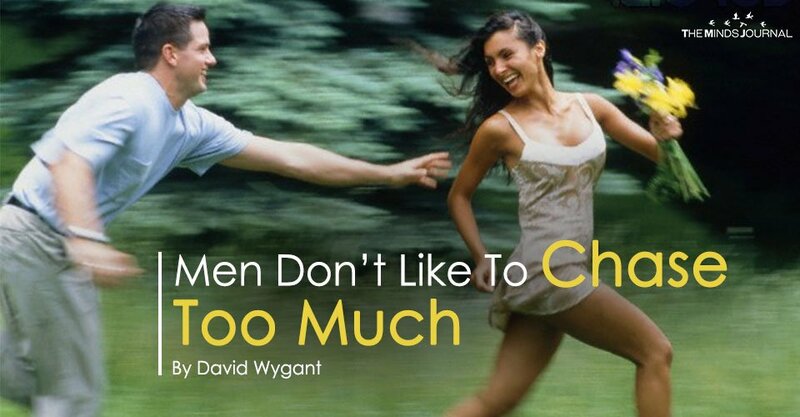 What happens most of the time when women do this, however, is that men will stop chasing. The guys who don’t stop chasing are generally the guys who just want to sleep with these women so they can be the guy who wins the chase. One of the biggest misconceptions women have about men is that men like the chase and like women who play hard to get. The truth is, though, that the only guys who enjoy women who play hard to get are the guys who just want to “get” them so they can sleep with them. Now when I talk about women playing at being emotionally unavailable, I am not suggesting that women ought to dump all their feelings on guys the second they meet (because this WILL cause men to run for the hills). So it’s actually true that men DO like the chase . . . but not in a way that women may understand. Let me give you an example of this when I go and meet a woman. Let’s say I’m dating a woman and I text her. When I do that, I want a text back from her within an hour or two, not two days later. Two days later to me shows that she is playing games, and I am going to lose interest. It also shows that she is not worthy of me paying attention to her. That’s exactly what I’m thinking in that situation. For another example, let’s say I call a woman on the phone on Monday and leave her a message telling her I’ve got a great idea for something for us to do that weekend that I want to run by her, and she doesn’t return my call until Thursday. She’s basically telling me she’s not very interested. Not only that, if when she calls back on Thursday she asks me what my weekend idea is, then it means that she is playing games. It also means that she is going to lose me. If I’m going to go and invest my interest in a woman, I want her to reciprocate an equal interest in me. So taking my ‘great idea for the weekend’ phone call as an example, I want a woman who will call me back that night and say “Really? What is it?” Then I’m going to want to keep things moving along with her, because what I’m doing is laying out a game of cat and mouse — I want to see whether or not you’re going to take the bait, and whether you’re going to run with it. If you’re available to me when I ask you out, that’s wonderful. Granted, if in the beginning, you’re available to me 24/7 then I’m not going to be interested. The encouragement chase I want is you being interested in what I’m presenting to you. If you are not expressing interest in what I’m presenting to you in an effort to make me chase you, I’m going to go and find somebody else every time. So this whole concept of how guys feel about “the chase” is something that most women don’t understand. What you need to remember is very simple. If a guy calls you, call him back. If a guy texts you, text him back. If a guy comes up with something interesting he wants to do with you, be excited about that. With all of these, just think about the way that you feel when men do certain things. If a man makes you wait four days after a date to hear from him, you know he’s not interested in you (and that you are no longer interested in him). Be a little more open to things and learn this little secret. Remember, guys, are just gigantic Scooby Doos (which I explain in complete detail in my programs). Give us the ball, we’ll chase after it. Throw too far, we may not chase after it anymore. Did you know that 95% of the women take it too far? They make men chase them way too much, and just when they’re about to get a man fully interested, they play one more game and they lose him. You want to know how to keep him? 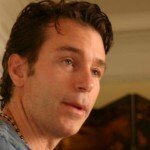 Do you want to know not only how to keep him but keep him interested? Do you want to know how that final chase is so you don’t lose him? I’m going to share a little secret that every man in the world would want you to know. And this secret is going to change the way you get men to chase you, but more importantly, how to get the right man to chase you and know exactly when you have him ready for a relationship.